Because I was curious, I just looked up Keith's Wikipedia page, and since he left ESPN the first time, in 1997, I have watched at least one episode of everything he's ever done, with the exception of 12 episodes as a guest on Hollywood Squares in 1999. Mind you, this is not because of a compulsion to watch my biggest inspiration to become a broadcast sports journalist, but if I see Keith or hear Keith, I stop what I'm doing and I pay attention. And that some of these shows were.... odd. He anchored NBC Nightly News twice (not was named host twice, but anchored it twice, period), and I saw one of those. He had a very short-lived show on Fox Sports Net, and I saw it (and thought it was bad). Even watched an episode of the CurrentTV show that might have been on the air less than the FSN show, which was his most recent network show before his new one on ESPN2 (and that seemed like a hopeless copy of the MSNBC show, so I'm glad it failed). On the radio I heard him fill in for Paul Harvey, (“and that's..... the rest...... of the story”) for goodness sake. Another note on that regard, my two favorite personalities at ESPN during the glory years (AKA, Keith's first time there, 1991-1997) were Keith (duh) and Bob Ley. I did not know until reading the oral history of the network (ESPN: Those Guys Have All the Fun) that Keith and Bob are polar opposites when it comes to politics. All I knew at the time was that they were the two best guys Bristol had to offer, as far as I was concerned. I still think Bob is fantastic at what he does, and so is Keith. Again, my point: politics matters zilch when it comes to sports. You should try it sometime, you'll enjoy them both much better. So I watched the premiere this week, and I thought he started it perfectly: with the line, “As I was saying....” a nod to one of Keith's influences, Jack Paar. (Paar was the host of the Tonight Show before Johnny Carson. Paar got into a feud with NBC because one night he told a joke on-air that referenced a bathroom- this happened in the early 60's, TV standards have changed slightly- and NBC edited it out of the broadcast. The next night, Paar came on, told NBC to shove it, and walked off. When he returned to the show a couple months later, he started with the line “As I was saying...”). (So you can imagine that I was more than a little perturbed that the New York Times reviewer- you know, from the alleged newspaper of record- did not catch this reference and put it down to Keith being self-aggrandizing.) Keith was visibly nervous (flubbed a couple of the early jokes) and immediately went into a rant, what he did so much on Countdown, and did it well. But then, a bit into the show... Highlights. My God, Keith doing baseball highlights again. It was the reminder, right there, of what Keith was born to do. (Not to mention that he loves baseball more than any other sport.) Many a catchphrase from the Glory Days made it in there on night one, and they didn't sound stale, they sounded as fresh as the day I first heard them. Is that a little much? Yeah, probably. The thing is, Keith has been on the political side so long, getting angry, yelling at people, that I almost completely forgot how good he was at just doing the highlights. (The “Sunday Night Football” co-hosting with former tag-team partner Dan Patrick was doomed from the get-go and everyone knew it, so he wasn't exactly trying there.) There are no highlights in politics, it's just reading a script while there's video. Highlights are an art form. Everyone thinks they can do it, but not everyone can. That's why “Boom Goes the Dynamite” exists. The great ones make it look so easy that everyone thinks they can do it. Keith is the greatest. Naturally, I appreciated all the clips in Episode One from his previous days on ESPN. Finally, ESPN can show Keith Olbermann in their highlight shows again (in ESPN's 25th anniversary and 30th anniversary shows, Olbermann, who almost single-handedly turned SportsCenter into the behemoth it remains today as far as highlight shows, got barely a mention). The unruly hair, the big glasses, the questionable fashion... but the razor sharp wit and the intelligence was still there, just like I remembered it. Nevertheless, there were an awful lot of flashbacks to the old days. I'm cool with pulling the old video out of the archives on Day One, and every week or so, (there was the claim that there would be a segment called “This week in Keith History”) but I don't want “Olbermann” to turn into watching a rock'n'roll band at the county fair. Loverboy has to play “Working for the Weekend” at every show. Night Ranger has to play “Sister Christian” at every show. Even Paul McCartney has to play a bunch of Beatles every show, and his lead guitarist, a really good 30-year music veteran, cannot change the solos in any song at all whatsoever, or there will be a flipping riot. I do not want to watch “Keith Ranger” show a bunch of “Hey everyone! Come and see how good I was!” clips all the time. Night two, it already seemed like Keith was bored. (Keith? Bored? Never!) However, the first interview of the night, with Tony Kornheiser, was good, it was two grumpy fellows agreeing with each other. Nevertheless, some of the show seemed pushed and it felt a little like Keith was not into it. The Russell Wilson interview was a certified snoozer. Part of that was Russell refusing to have fun with any of Keith's “I'm trying to ask you interesting questions, please give me interesting answers” line of questioning and instead, answering them as if he couldn't hear the joke. Night three was better than night two. Keith seemed more comfortable with it, like, okay, here we are, this is what it is. He got personal, talking MLK, racism, baseball and his Dad, (the clip is worth three and a half minutes of your time) and who wouldn't have fun with John McEnroe? The Peyton Manning interview was miles better than Russell, mostly because Peyton answered Keith's questions the way you're supposed to answer Keith's questions, by playing around with him and not answering him as if you can't hear the joke. If Keith brings on more interviews like Peyton and Johnny Mac and fewer like Russell, the interview segments will seem fun, and not like a drag. I also realized on night three that he entire hour features an awful lot of Keith talking. 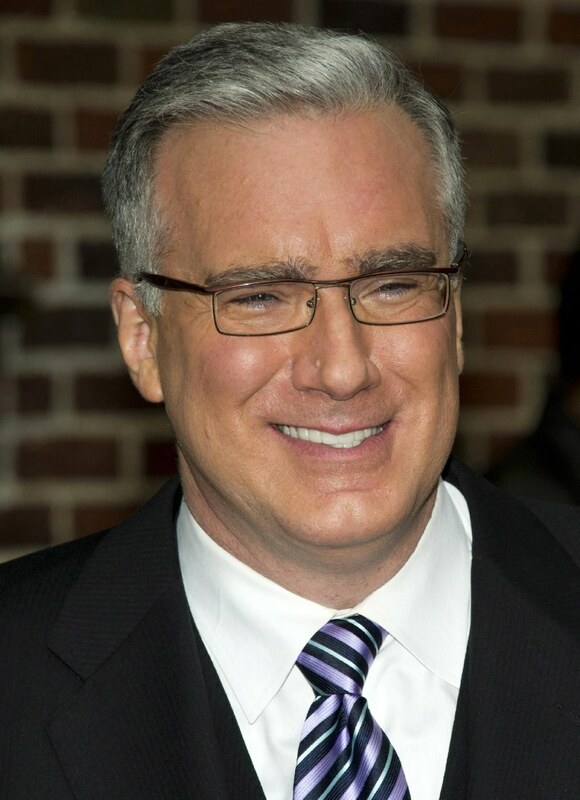 The show is called “Olbermann,” so I guess that's the point, but it seems like it should be broken up. I originally thought “maybe he should bring someone in to do the highlights so he can have a break,” but then, the highlights are Keith's specialty, so why bring in somebody worse than him to do something he's great at doing? Then I thought, maybe bring in someone for him to talk to and play off of like an Ed McMahon type might be the answer. But then, it just turns into a nighttime version of PTI, and that's no good. I'm here to watch Keith. I can deal with Keith doing everything for an hour. I have high hopes for Keith's return to ESPN to be a long and fruitful partnership, but we all know how it will end: it'll crash and burn, like it did the first time, and like it has happened everywhere else he's been. He made it almost a decade on MSNBC (take two), it's probably the longest job he's ever held. I hope that I'm wrong, that Keith will find his niche (the show is based in NYC, and he hated ESPN's hometown of Bristol with a burning passion, so that'll help), and go on like this until he decides to quit in a decade and a half. He'd be almost 70 by then, so there's no way in hell that will happen. But however long it lasts, I'm just glad I got to see Keith doing baseball highlights once more. You should watch them yourself (especially if you've never seen the master at work), you'll be glad you did.